With all of the technologies being added to the automotive industry, Ford was determined not to be outdone. As such, the latest vehicles come with Co-Pilot360. The series of enhancements are meant to take the stress out of driving while keeping all safer. See all of the Ford vehicle features at your Kansas City showroom. When backing out of your driveway, garage or parking spot, the Co-Pilot360 gives you an extra set of eyes. Simply watch the infotainment screen and mirrors to see potential dangers. 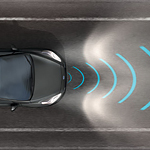 If a vehicle or a person should suddenly enter your path from the front of the vehicle, the emergency braking system helps prevent a collision thanks to the sensory technology. Stay safer on the highway as sensors also alert you to vehicles in your blind spot or if you should accidentally venture into the wrong lane. Test the new system by taking a Ford out for a test drive at Victory Ford.